This spring will mark 100 years since the Fatima apparitions, and an opportunity to reflect deeply again upon their message. The Angel of Peace appeared three times to the shepherd children, Lucia, Jacinta and Francisco, beginning in the spring of 1916 in Fatima, Portugal. These visitations prepared the way for the six apparitions of Our Lady of Fatima the following year. The message of Fatima may be lost sometimes in the mysterious and the spectacular: the apparitions; the “three secrets;” the “dancing of the sun.” Yet, the main entreaties from Heaven concerned our day-to-day earthly activities and how these will forge our eternal destiny. The everlasting consequence of unrepented mortal sin is Hell; knowing this, we should live our lives according to the laws of God, in obedience, purity and virtue. The central message of Fatima was an urgent plea to stay on the narrow path to Heaven. Further linking us to the Body of Christ, the Angel and the Virgin Mary said we should seek to console God through worthy reception and adoration of the Eucharist. While the idea of consoling an all-powerful God may seem counterintuitive, we are reminded by Pope Pius XI that “we can and ought to console that Most Sacred Heart,” which is continually wounded by our sins (Miserentissimus Redemptor, 13). In a similar way, the Angel offered the children holy Eucharist to make reparation for sins and to “console your God.” This was later echoed in Our Lady’s Eucharistic prayer: “O Most Holy Trinity, I adore You! My God, my God, I love You in the most Blessed Sacrament!” The Eucharist is the source and summit of the Christian life (CCC 1324), and the Fatima apparitions remind us that worthily receiving Jesus in Communion has the grace to save our souls and console our God. The Virgin Mary also asked us to make reparation through the “First Five Saturdays” devotion. Our Lady promised Sister Lucia, “to assist at the hour of death with the graces necessary for salvation” those who will practice this devotion of Confession, Eucharist, recitation of the Rosary, and meditation upon its mysteries. The Church rightly honors the Mother of God, because it was through her, and in consent of her freewill, let it be done to me, that the Savior was born into the world. (Lumen Gentium, VIII) This is what we proclaim in the words of the Rosary: the moment of the Incarnation of God. As Pope Paul VI issued in his 1967 Apostolic Exhortation, Signum Magnum, on the 50th anniversary of Fatima, it is fitting that we consecrate ourselves to the Immaculate Heart of Mary, as the spiritual Mother of the Church, for her mediatory role in the salvation of the world. Now, on this 100th anniversary of Fatima, we are reminded again to contemplate its message and embrace its devotions. Although the Angel of Peace and Our Lady of Fatima appeared during the carnage of World War I, the divine messages are perhaps even more relevant today, in an age of nuclear weapons and renewed militancy across the globe, rampant atheism, materialism and loss of faith, a diminishing Church in the West, and a rapidly growing permissive society. As faithful disciples, we are called to be holy, and intercessors for each other. Fatima was a wake-up call. In it, Jesus’ last words from the Cross come alive “Behold, your mother.” (Jn. 19:27) In the midst of a passing world, we need to get right with eternal things: by penance, Confession, the Eucharist, prayer, especially the Rosary. Our Lady of Fatima renews this call again, to stay on the narrow path to Heaven. This entry was posted in Fatima, Mary and tagged Angel of Peace, apparitions, Blessed Sacrament, confession, dancing of the sun, devotion, Eucharist, Fatima, first five Saturdays, Heaven, hell, Immaculate Heart, Lumen Gentium, Mary, mysteries, Our Lady of Fatima, Our Lady of the Rosary, reparation, Rosary, Signum Magnum, three secrets, Virgin Mary on March 9, 2016 by Brian. St.Josemaria Escriva de Balaguer was a Catholic priest from Spain in the 20th century who founded the Catholic organization, Opus Dei, “The Work of God,” a personal prelature comprised of lay people and clergy. The mission of Opus Dei is to evangelize Christians everywhere to live out their faith in their ordinary lives, to sanctify their daily work, and offer it all up to God. As St.Josemaria Escriva said, “We have come to point to the example of Jesus, who spent thirty years in Nazareth, working at His job. In Jesus’ hands, work, an ordinary job like that done by millions of people throughout the world, becomes a divine task, a redeeming job, a path of salvation.” Josemaria was the “saint of ordinary life.” On October 2, 1928, God gave him an overwhelming vision. It was of ordinary Christians, who direct all their activity towards God, as a sanctifying sacrifice in participation with their baptismal vocation in the priesthood of Christ. He saw ordinary Christians sanctifying their daily work and activities by uniting them with the life of Christ. He saw the laity, of every background and race and profession and social status, all becoming apostles, saints in the world. Factory worker saints, farmer saints, carpenter saints, teacher saints, regardless of their profession or work, no matter how small, average or ordinary, they could all be saints. This is echoed in Lumen Gentium from Vatican II with the “universal call to holiness.” (LG, 5) All people, not just the clerical and religious class, but all people are called to holiness, even the lowliest of the laity are called to “be holy, for I am holy.” (1 Pet. 1:16) Josemaria called this “The Way,” or more precisely, the way of sanctification. By this, he meant that we should unite our daily duties, whatever they may be, with God, through Christ; that is, to live out our Christian vocation within our daily secular vocation. Then, our daily secular work will become divine work that transforms us into holy apostles of Christ. But, how is any of this possible? The key to St.Josemaria is “divine filiation,” the idea that, through Baptism, we have become God’s children. In Baptism, we are born by grace into the death and life of Christ, and become by grace what Jesus is by nature, namely, a son of God. St.John says “See what kind of love the Father has given to us, that we should be called children of God; and so we are.” (1 Jn. 3:1) This idea is scattered throughout the New Testament. St.Paul says to the Romans, “For all who are led by the Spirit of God are children of God… but you received a spirit of adoption. When we cry, ‘Abba! Father!’ It is that very Spirit bearing witness with our spirit that we are children of God..” (Rom. 8:14-16) In the second letter of Peter, he says God has let us “become partakers of the divine nature.” (2 Pet. 1:4) Even Jesus Himself quotes Psalms 82:6 saying, “Is it not written in your law, ‘I said, you are gods’?” (Jn.10:34) Of course, He also teaches us at the Sermon on the Mount to pray to God by radically calling Him “Our Father.” (Mt.6:9) As part of our redemption and sanctification in Christ, St.Josemaria points out, it also involves our deification and divinization. We are no longer just servants created by God, but rather, we have been grafted through Jesus into the divine family. We have become adopted sons and daughters of the Father, and brothers and sisters to Jesus Christ, the Son of God. Jesus, as the second person of the Trinity, by incarnating into the world, humanized His divinity, and divinized His humanity. God reached down to humanity, so humanity could reach up to God. By giving us His Spirit, the Holy Spirit and grace, we can become one with Jesus in our life, just as the Persons of the Trinity, in their inner relationship, are one. Through Baptism and faith, we are brought into oneness with Jesus, and then, necessarily into the life of the Holy Trinity. Jesus prayed this in the Garden of Gethsemane saying “As you, Father, are in Me and I am in You, may they also be in Us..” (Jn 17:21) This is the scandal of Christianity. Not only do we believe in a singular divine, omnipotent Being, but we also believe that He came into the world to personally save us, and by grace, adopt us into His divine family of the Father, Son and Holy Spirit. By nothing of ourselves, but only by the free gift of faith and grace, God makes us part of His family. So, what is the significance of all of this? Firstly, we should recognize our special dignity as Christians, and our unique status conferred upon us in Baptism. The gift of faith, the Church, the sacraments should not be taken lightly. We should live our lives uprightly as fitting as children of God. As St.Peter states, “you are a chosen race, a royal priesthood, a holy nation.” (1 Pet. 2:9) We have been baptized into the royal priesthood of Jesus Christ, the one true mediator between God and man. So, we are anointed as a priest of Christ, as part of the common priesthood of the faithful. (CCC 1547) St.Josemaria urged us that we should have a “lay mentality” with a “priestly soul.” Yet, unlike an ordained ministerial priest who offers the sacrifice of the Mass, what are we, as ordinary lay people, to offer and sacrifice? To answer that, we should understand that Jesus’ whole life was a mystery of redemption. (CCC 517) Even before Jesus’ passion and death, He was performing redemptive acts in His daily private life, which He lived for thirty years. Jesus lived the ordinary life of each one of us, a private life of work and daily routine, and as part of a family. During Jesus’ “hidden life,” He sanctified our everyday existence. Since Jesus, as God, became man, all of His life and actions were that of a divine Being. Jesus divinized humanity, and made holy everything in His ordinary life, from work, to leisure, to eating and meals, to family and friendship. Jesus sanctified everyday life. The people of Jesus’ day who saw Him declared, “He has done everything well.” (Mk. 7:37) Jesus lived out perfectly the common priesthood of the faithful that God had intended for Adam and Eve. He is our perfect model. (CCC 520) Jesus offered His priestly action and sacrifice throughout His whole life, including the thirty years of His private life, so that while He worked in Joseph’s carpenter shop, He offered work as a redemptive spiritual sacrifice. Jesus made possible the elevation and transformation of all of our mundane, ordinary actions into acts of divine worship. Because God performed these actions and lived this life, He has made them holy. So now, too, we as His divinely adopted children, can in conjunction with Him and His life, offer to God, all of our everyday routines and works as spiritual sacrifice, prayer, worship and praise. We can now fulfill our role as children of God, imitators of Christ, striving to become holy and sanctified, interceding on behalf of the souls of others, exercising our common priesthood of the faithful in the midst of the streets and homes and workplaces of the world. Jesus said “and I, when I am lifted up from the earth, will draw all men to Myself” (Jn. 12:32), and so, St.Josemaria had another vision of God drawing all men and women to Himself through their ordinary lives and occupations and vocations throughout the world, becoming “another Christ,” or Christs, within the world. Jesus endowed our work and our actions and our sufferings with divine efficaciousness. St.Paul mentions this idea saying, “Now I rejoice in my sufferings for your sake, and in my flesh I complete what is lacking in Christ’s afflictions for the sake of His body, that is, the Church..” (Col. 1:24) Because of the mystery of the Incarnation, we are connected in some way with the life of Christ and His redemptive actions. We can offer all of our works, prayers, and sacrifices in conjunction with His. God has willed that we can, in effect, be co-redeemers and co-workers of Christ in the mystery of sanctification and redemption, both of ourselves and of others. For through our Baptism and in the Eucharist, we are connected to Jesus and in a real way with each other. We form, as it were, a communion of saints. Our work then is the sanctification of ourselves and of each other, in unity with the grace of Christ. As St.Paul says, “For this is the will of God, your sanctification.” (1 Thess. 4:3) Now, through Christ, we can “work out your own salvation with fear and trembling” (Phil. 2:12) by offering worship to God through our everyday activities. All things sacred need not be relegated just to Church on Sundays while the rest of the week is occupied by the secular, devoid of holiness. God wills that all of our lives, each and every day, be holy and sanctified, worshipping God ceaselessly. (1 Thess. 5:17) We can do that by offering sacred worship to God through our secular ordinary activities. St.Josemaria cautioned against living a “double-life,” but rather instead, we should live an “integrated life,” single-minded in the pursuit of holiness. The key is bringing the presence of God into our lives, in whatever it is we are doing, making the secular holy. And how can we bring the presence of God into our lives in whatever we are doing? Well, first off, this is not necessarily a loud, visible obvious presence. On the contrary, this is an invisible, interior apostolate. This is us, interiorly asking for the presence of God in our lives each day, consecrating all of our actions, submitting even our “small” actions, to God, in order to please Him. This involves our invisible, interior relationship with Him directly. We can join all of our work to the saving work of Jesus, again via the mystery of the Incarnation. Now, St.Josemaria asks, in effect, should we leave our jobs or families, and run off to do great, heroic deeds, or join a contemplative, monastic order in order to please God? No, not necessarily. Although some most certainly are called to religious life, most are not. As St.Paul again instructs us, “Every one should remain in the state in which he was called.” (1 Cor. 7:20) We can be at peace with where we are, and work out our sanctification amidst the circumstances we find ourselves. Yet, to answer the original question, St.Josemaria recommended a number of daily markers and spiritual milestones to follow each day. These spiritual practices, a daily “plan of life,” followed by Opus Dei begin with offering a Morning Offering, or prayer immediately once we wake up in the morning; attending Mass each day if possible; prayer, such as saying the Rosary and the Angelus; reading the Gospels or scriptures, or a spiritual book; offering small acts of penance and mortifications; adoration before the tabernacle; three hail Marys at bedtime, examination of your conscience and asking forgiveness at night before going to bed. He also recommended regular sacramental confession and yearly spiritual retreats. By sticking to these simple milestones throughout the day, the person spiritually orders his or her workday to worship. Thus, our most common actions become spiritual sacrifices, offered in our temples (of our lives), which can be anywhere and everywhere of everyday life. St.Paul exhorts us directly to do this, “I appeal to you therefore, brethren, by the mercies of God, to present your bodies as a living sacrifice, holy and acceptable to God, which is your spiritual worship.” (Rom. 12:1) Vatican II’s Gaudium et Spes also highlights that this glorification of God in our lives “concerns the whole of everyday activity.” (GS, 34) Our most basic tasks can be transformed into supernatural activities, ie, folding laundry, cooking dinner, serving customers at work can become holy acts of worship. So, we should strive, as Jesus did, to “do all things well,” and offer everything we do for the glorification of God and the sanctification of ourselves and for each other. Our secular day should be wrapped in spiritual prayer and sacrifice. This is part of the “pure offering” mentioned by the prophet Malachi (Mal.1:11) St.Josemaria spoke of how we should live: “Live as the others around you live with naturalness, but ‘supernaturalizing’ every moment of your day.” This is how we should approach each day, with a “holy ambition,” to ambitiously pursue holiness in the ordinary things of life. We are not called out of the world, but to sanctify the world from within, as leaven within the dough, to raise up Christ in ourselves and in our actions and in our place in life, as St.Josemaria espoused, to be “contemplatives in the midst of the world.” Then, we will truly be children of God. This entry was posted in Divine Filiation, St.Josemaria Escriva and tagged Baptism, Catechism of the Catholic Church, children of God, common priesthood of the faithful, daily routine, Divine Filiation, everyday life, Gaudium et Spes, holiness, incarnation, Jesus Christ, Josemaria, laity, Lumen Gentium, Mass, Opus Dei, ordinary life, ordinary saint, Our Father, plan of life, prayer, sacraments, sanctification, spiritual sacrifices, St.Josemaria Escriva on January 20, 2016 by Brian. A real symbol is both a symbol and a reality. It symbolizes a reality, but it also has the real presence of the reality it symbolizes. The symbol, in a real symbol, is so intimately identified with the reality of it that the symbol makes present the reality. It is more than just a representation. The symbol and the reality are one. Yet, even though the symbol and the reality are inseparably bestowed, they are also identifiably distinct from each other. The best illustration of a real symbol is the human body. The human body is the real symbol of the soul. It both symbolizes the reality of the soul and it actually makes present the essence of the soul, or the reality of self. In St.Thomas’ words, the soul is the substantial “form” of the “matter” of the body. (Summa, I, q.76, a.1, a.4) When we think of a human person, we think of a united being of body and soul, forming one human substance. We know that the human person is more than a physical body. It is also a rational, immaterial, and immortal soul created directly by God that lives on after the death of the body. The body and soul are distinct. Nevertheless, the body is not simply a cocoon possessed by the soul. Rather, the body individuates the soul, permanently. The two principles, body and soul, are forever linked and conformed to each other. Man is a composite being, in which body and soul are separated at death, but reunited, in eternal form, in the final Resurrection. (CCC 366) The corporeal matter of the body and the spiritual form of the soul make one human person. As the Catechism teaches, “spirit and matter, in man, are not two natures united; but rather their union forms a single nature.” (CCC 365) Human nature is the body and the soul together. Therefore, the body is the real symbol of the soul, because it symbolizes the soul and also makes the soul present in reality. Hidden divine realities are often times expressed in the world through symbolic reality, as has been discussed in regards to the soul and the Church. In a similar way, Christ is the real symbol of the eternal Word of God. In His humanity, Christ symbolizes, in bodily form, the manifestation of the divine and eternal Word, but He also is, in reality, the Son of God. In a similar fashion, within the Church, grace is primarily conferred on us through the symbolic reality of the sacraments. This is most especially true in the Eucharist. Christ is symbolically present under the veiled species of bread and wine, but Christ is also actually present in reality in the Eucharist. At consecration, with the transubstantiation, His body and blood, soul and divinity truly become present, even though our “eyes were kept from recognizing Him.” (Lk.24:16) Christ is the primordial sacrament from which grace is bestowed upon the Church; itself, a type of analogous sacrament; which, in turn, confers grace upon us in the actual sacraments themselves. Sanctifying grace flows from Christ, to the Church, and to the sacraments. We, the community of believers, initiated and sustained by the sacraments, are thence drawn into the symbolic reality of Christ. We become symbols of Christ and manifest His real presence in our lives. We are taken up into the mysteries of His life. (LG, 7) As such, we, the Church, who are the Body of Christ, are drawn into close union with Jesus Christ, who is the Head of the Body. (MCC, 81) St.Paul reveals this to us saying, “Because there is one bread, we who are many are one body, for we all partake of the one bread. (1 Cor.10:17) Since we all partake of the one Eucharistic “bread,” we are united into communion with Christ, and consequently, with each other. (LG, 7) This is a constant theme of the New Testament. As St.Paul teaches the Romans, “So we, being many, are one body in Christ, and every one members one of another.” (Rom.12:5) The effect of the Eucharistic sacrament, or in Thomistic terms, “the Res Tantum,” or the “final reality” produced by the sacrament, is our unity with God and with each other, i.e., the coalescing of the Mystical Body of Christ. As Jesus Himself testified, “Those who eat My flesh and drink My blood abide in Me, and I in them.” (Jn.6:56) We are made one in the symbolic reality of Christ’s Body. To this point, the main purpose of the Church is to be the “sacrament of the inner union of men with God” and the “sacrament of the unity of the human race.” (CCC 775) In Gethsemane, Jesus prays to the Father for the Church’s communion with God and with one another, or in other words, for the Communion of Saints, “so that they may be one, as We are one.” (Jn. 17:22) As part of this oneness, the Church’s mission is to take care of each other, and not just corporeally, but also, spiritually. God wills that the Church take part in the redemptive mission of Christ, and become “as it were, another Christ.” (MCC, 53) Christ’s redemptive work merited superabundant grace for us, of which the Church contributed nothing. (MCC, 44) Yet, Christ’s passion and death “merited for His Church an infinite treasure of graces.” (MCC, 106) God could have chosen any way possible to distribute those graces, but He chose that the Church should take an active role in the work of redemption; thus, conferring a special dignity upon His members. The magisterium teaches “not only does He share this work of sanctification with His Church, but He wills that in some way it be due to her action. This is a deep mystery..” (MCC, 44) This deep mystery pervades every member of the Body of Christ. For, Christ wills that His Mystical Body, we, the Church, carry on His salvific mission here on earth until the end of the world. It is an utterly serious responsibility, for “the salvation of many depends on the prayers and voluntary penances” of her members. 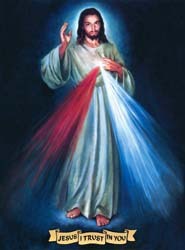 (MCC, 44) We can petition God to apply our own prayers and mortifications, our “spiritual sacrifices,” in union with the infinite grace of Christ’s Passion, towards the salvation and sanctification of other souls, and in particular, on behalf of sinners. We can be co-redeemers. Again, this is not from anything we have done or earned or merited. We can do nothing without Christ. All grace is from Him. Christ simply wills that we should share in His work. The encyclical says we must offer our “prayers, works, and sufferings” every day to the Eternal Father. (MCC, 109) In this way we resemble Christ (MCC, 47) in our intercession and mediation for the whole human family. Being one body, we must have “the same care for one another.” (1 Cor.12:25) As individual members of the Mystical Body of Christ we must be rustled up from our slumber with a “supernatural charity” for the good of all men. (MCC, 97) We can do this by remaining faithful to the Church. When we abide as members united in His Mystical Body, He too abides in us by the Holy Spirit. We become a living symbolic reality, where Christ is truly present in the world again. This entry was posted in Catechism of the Catholic Church (CCC), Mystical Body of Christ, Spiritual Sacrifices and tagged Body of Christ, Catechism, charity, Communion, communion of saints, Eucharist, final reality, grace, Lumen Gentium, mystical, Mystical Body of Christ, Mystici Corporis Christi, one body, one bread, real symbol, redeemer, Redemption, Res Tantum, sacrament, sacramental, St.Thomas, St.Thomas Aquinas, symbol, symbolic reality on October 30, 2015 by Brian.